A new listing spotted at Geekbench reveals a rather new Android device in plans at Google. 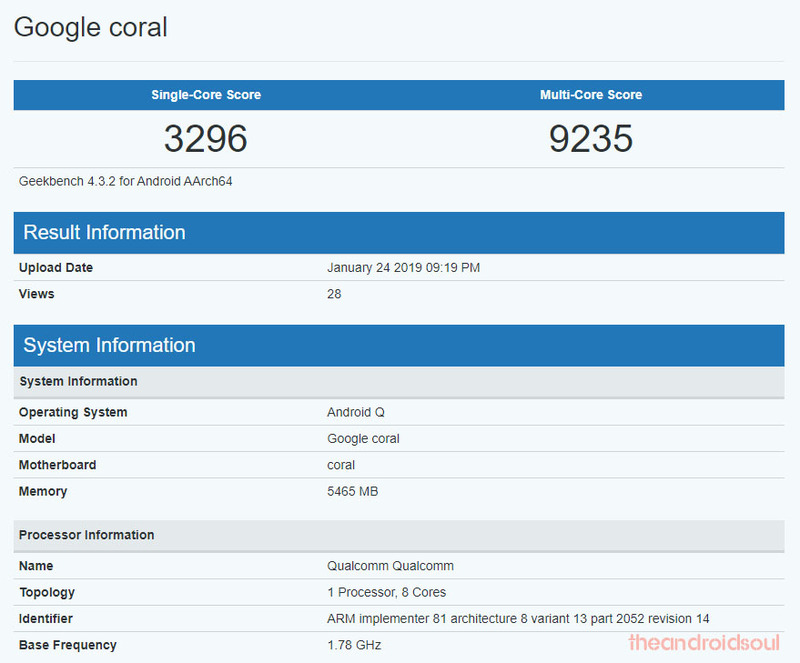 Dubbed as Google Coral, the device is running Android Q and has gotten itself some great scores too both under the single-core and multi-core tests at Geekbench. We haven’t heard of anything resembling Google Coral till date in the rumor mill, so it’s a nice surprise to know about before bidding goodbye to this week. The device is scoring a cool 3296 points under the single-core test at Geekbench, while in the multi-core scene, the score is whopping 9235 points. That’s a performance we have seen on some of the devices leaked running Snapdragon 855 chipset (see the Galaxy S10 Plus leak here), but sadly, the Geekbench listing remains muted on what’s powering the Google Coral. Though, it does reveal that Google Coral is using a 6GB RAM, which is a first for a Google device. It’s too early to label the device as Pixel 4 really, but who knows. Is it a Pixel tablet, though?